Anantara Angkor Resort, Siem Reap. Anantara Angkor, the best among all Siem Reap resorts boasts an enviable location five minutes from Siem Reap International Airport and 15 minutes from the wonders of Angkor Wat. Explore the surrounding countryside of rice paddies, jungle and ruins. Head further afield for adventures on water at Tonle Sap. 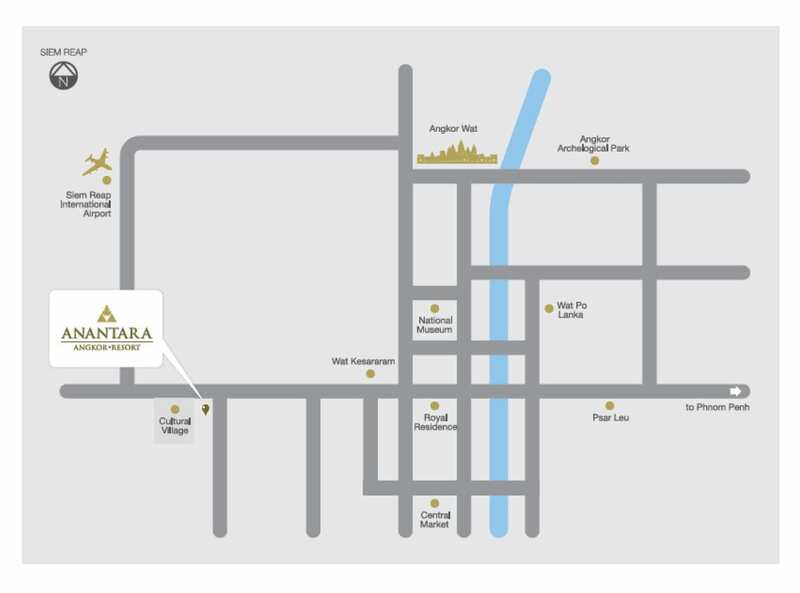 Anantara Angkor Resort is conveniently situated a five-minute drive from Siem Reap International Airport, which offers both internal flights from within Cambodia and a range of direct international connections from neighbouring countries. Our airport representative will be waiting for you at Arrivals, ready to transfer you to the resort.